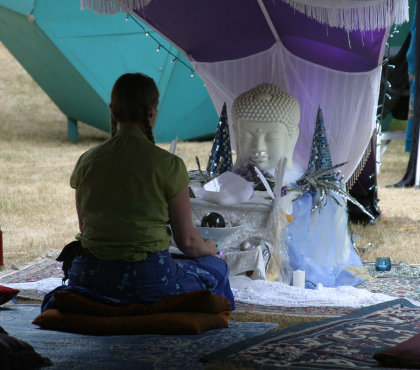 My escape to Beloved Sacred Arts & Music Festival was an enchantment from the minute we turned off the freeway. We passed through beautiful orchards in the height of their summer passion before the road started climbing up into the mountains. As we twisted and turned, a merry river burbled alongside us and the thick evergreen forest smelled luscious and tantalizing. When we reached our first stop: the box office, we were greeted by big smiles and lots of color. A blast of salty air came on the breeze and I knew the ocean was close, though it was 15 miles further up the road. We checked in, got our wristbands and looked over the site map to find our camping spot. We ran into Jeet-Kei, founder of The Bloom Series within minutes of arriving! More smiles and warm hugs welcomed us as we headed onward to the parking meadow, where gator trains, push carts and new friends were offered to load us in. 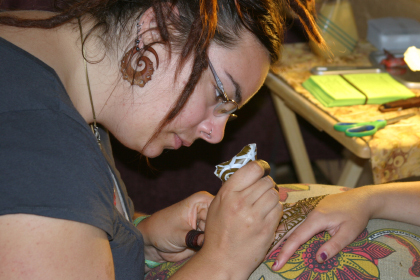 Being on crutches, I was pampered and treated like a queen, lots of handsome men in tank tops and tattoos, and women in goddess adornment shuffling my gear. My girlfriends took off up the mountain to camp with old friends as I rode in the gator to an easy access spot for gimps on crutches like me. Though it was past Friday noon, there was a sweet Sunday morning ease in the air as I wandered the camp, getting to know the layout. 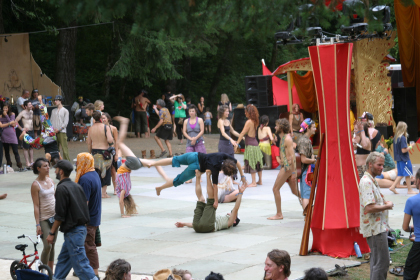 The singular main meadow was tucked in thick green trees, where the solo stage sat low, so it could be seen from the central firepit, the vending booths, the kids area, and the food court up top. Two giant altars flanked the stage, matching the elegant red and gold awnings. Over the weekend blankets were spread out over the courtyard, to serve as basecamp while folks meandered to browse the shopping, sit in on a workshop or shake their booty on the dance floor. 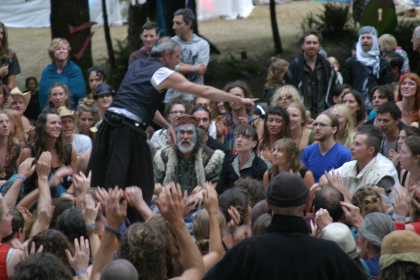 Elliot’s vision, to keep everyone together around one stage, worked fantastically, and we always felt like we were together – the full 1500 – 2000 of us – intimately gathered there in that small meadow. 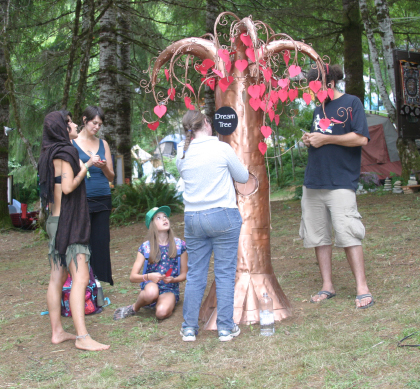 Workshops and camping were spread out in the trees, but everything else was visible from any spot in the center and the intimacy was unlike any other gathering I’ve been at. While Nahko and Medicine for the People rocked the house, I crutched my way up the hill past vendors offering fine leatherwork, lots of jewelry, awesome tribal clothing, crystals and more. I passed the giant rainbow dome set on a truckload of sand, set aside for the kiddies. 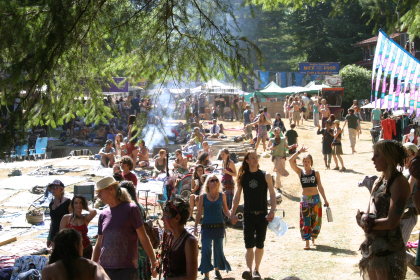 At the top I found the greatest food court ever – Lydias raw organic delights, Get Fried (everybody’s favorite), of course Coconut Bliss – they’ve become a staple for any fest these days, and both kombucha and jun elixirs – how spoiled are we??? There was pizza, espresso, BBQ and an extra delight – Health Force pouring cups of Vitamineral Green. 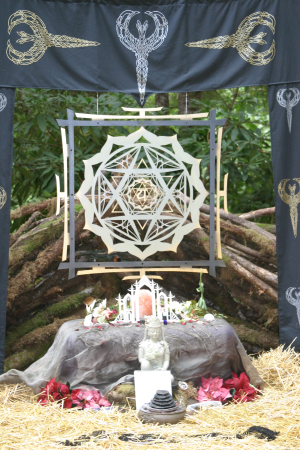 It was not only a delicious weekend, it was deep nourishment tuning us up for blissful encounters! Somewhere in the late afternoon, Paradox brought his workshop trained troops to the dance floor to invite the rest of us into his Monkey Chant. 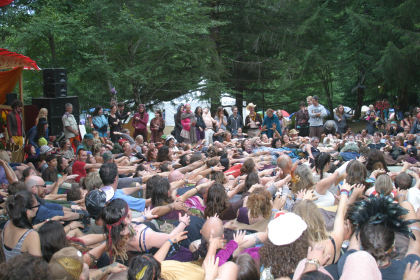 Sitting snuggled up close in a giant circle, we followed as he orchestrated a chant in several parts. Sections in the four directions burst out their sounds, in a chant that was simple, but fun and dynamic. 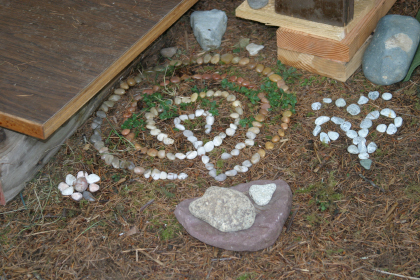 He added hand and body movements and the circle came alive. 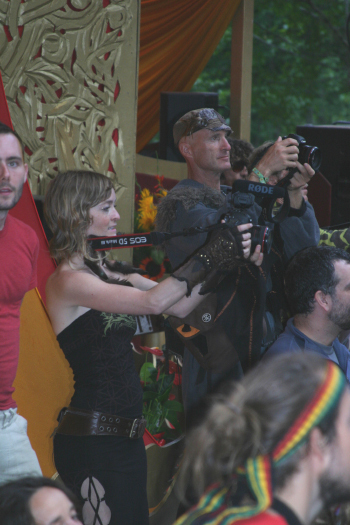 I spied Zippy Lomax and Kyer Wiltshire, top photographers at work, as cameras flashed from every direction at the living human mandala. A great time was had by all. I stepped away from the stage just a few feet, to the Jasmine Dragon Tea Lounge. 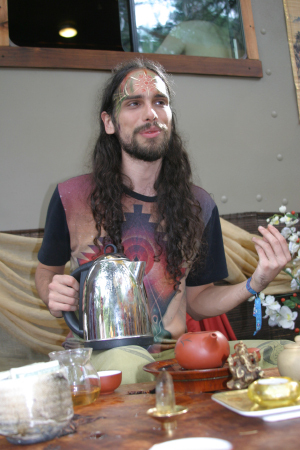 Elijah poured tea while telling stories of far off and mystical lands from whence the teas came. 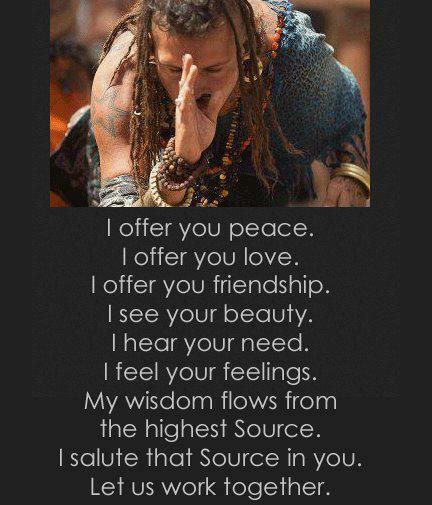 Each blend had a story, with healing elements chosen for the guest. He poured chrysanthemum with rose petals for me, a perfect mix of bitter and sweetness. 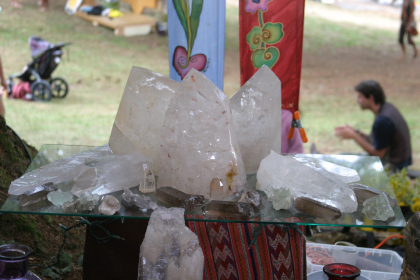 Just up from the tea lounge was the crystal sanctuary, an open tent full of Persian carpets with pillows, surrounded by beautiful altars and gorgeous displays of giant crystals. 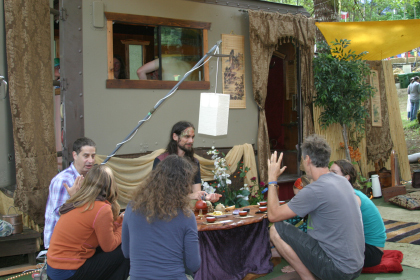 All weekend it was full of people relaxing, socializing or even just resting in the sweet serenity and healing energy. I didn’t get a chance to meet the creators, but the crystal displays were wonderful and impressive. 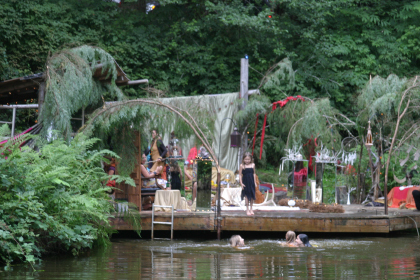 Being central and widely visible, it set a tone of sanctuary and relaxation for the whole area. As the sun settled, the music picked up and soon the dance floor was hot and hopping. Beloved served up some tasty treats from around the world – the acoustic sounds of Riffat Sultana from India/Pakistan, that moved into the fusion of MAKU Soundsystem from Columbia, and then into dub and funk that throbbed through my pillow till nearly sun-up, (keeping me in the groove while I slept) ! 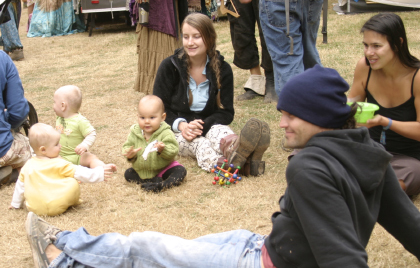 In the early mornings, parents of infants have to abandon camp to let others sleep, so the coffee area was abundant in crawling tots. 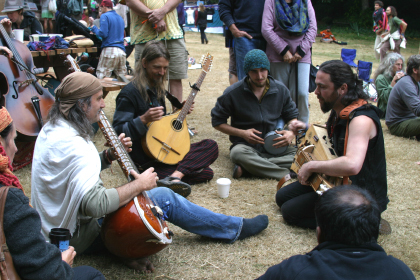 Musicians gathered there as well and spontaneous gatherings were a warm way to awaken. At one point there were 7 of the infants all together, but their crawling kept them on the move and I couldn’t quite catch them all in one shot. 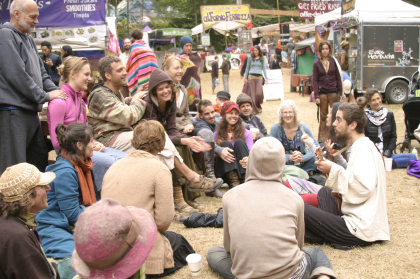 Saturday opened with the sweet sound of angels as a mystery singer who was probably Jaya Lakshmi stopped us all in our tracks, early in the day while we were still in our camps… as we came into the meadow seeking more, one kirtan singer followed another, serenading the gathering. First up, Donna De Lory’s songbird voice greeted us, followed by Peia, yet another devotional angelic vocalist…. 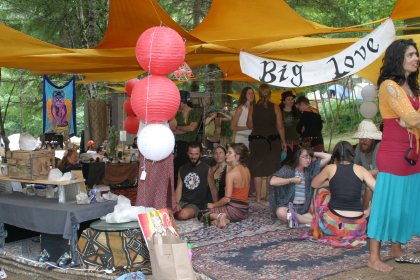 Two stages were set up in tandem, facing one another, so between sets were all sorts of surprises from the tiny alternate stage….a workshop on community, a stunning pianist, a storyteller…Our senses always being treated to something divine. The MC for the weekend, Zamir Dhanji was an animated storyteller himself, and lots of fun. 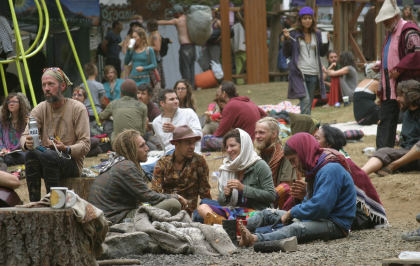 People everywhere were warm and inviting, quick to make friends and dive into conversations. Hugs abounded and by Sunday people were joking about hug fatigue!! In the evening as the dance music from a variety of artists amped up –Youssoupha Sidhefrom Zimbabwe, Stellamara bringing Medieval European fusion, Paula Fuga & Mike Love from Hawaiian traditions , I wandered over to the art gallery. There were painters working on projects all over the site, and here was a beautiful temple, a shrine to their work, set up as a silent auction and always full of art enthusiasts pondering the great works. It amazed me how rich our community is with such talent! Long before I got there, excitement for the Desert Dwellers performance at 3 am surrounded me. I heard non stop raves about it both before and after. Being a wuss myself, in bed at midnight….sure enough, in the wee hours a pulse came through the earth that begged me to jump up out of bed to dance!! It was the GOOD stuff! If it weren’t for the crutches and the woodland terrain in the dark I’d have run over to the stage, but this time I missed it. It was a definite highlight of the weekend for everyone who caught it….I’m still hearing how good it was! 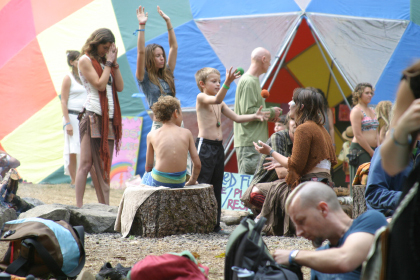 Workshops ran throughout the weekend, as well as a snake temple set up with real pythons that occasionally were brought out to commune in the meadow. 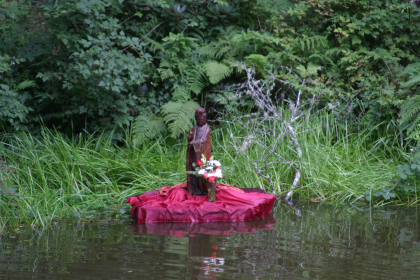 At first I thought I’d photograph all the altars, but there were far too many, including one in the little lake that was always full of children laughing. Beauty filled every nook. People had come with sacks full of treasures to adorn the land as well as themselves and created a feast for the eyes in every direction. Tickets to Beloved sell out every year, being that it’s a small site and has limited capacity. I’ll keep you posted when they first go on sale for next year, and let me answer for you – Yes! Go!